I took Accutane for 3 months when I was 21, I'm now 36. 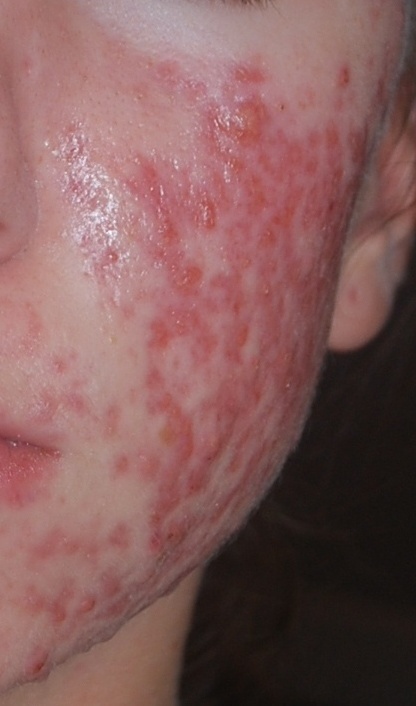 It totally cleared my acne, but I was left with quite severe scarring. But one of the side effects is that your skin can suddenly become red years after, this happened to me when I was 29 or 30, and is still the same. I recently had laser treatment, but it didn't really work. I think it may be worth having a chemical peel in the future, more so when your skin starts to age. You read so many things about acne treatments, but I wouldn't waste money on laser treatment.